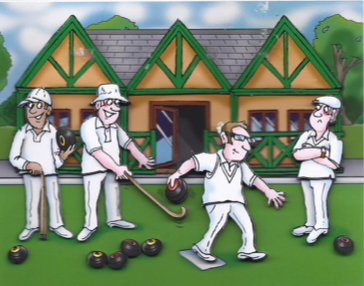 Welcome to the website for the Bowls section of Crowthorne British Legion. We hope you find the information useful. The bowls green has three rinks and is part of the facilities of the Royal British Legion. The green is available for RBL members during the summer season. Bear in mind that you will first need to join the British Legion - click here to email the RBL Secretary.